Four individuals, including the Director of Disaster Management, Ms. Sharleen DaBreo, will be presented with the Unsung Hero Award tomorrow, March 24, by the New Life Baptist Church (NLBC). Mr. Xavier Dag H.M. Samuels will be the first to receive the award posthumously, and will receive the award for service in athletics and youth development, the release explained. Meanwhile, Mr. Patrick Harrigan is being recognised for his service in athletics, youth development and programming, while Mrs. Erma Vanterpool is being awarded for service in education and youth instruction. She is the first resident of a sister-island to be awarded, the missive noted. The DDM Director, Ms. Sharlene DaBreo, MBE, is being awarded for her contributions in disaster preparedness and community readiness development. 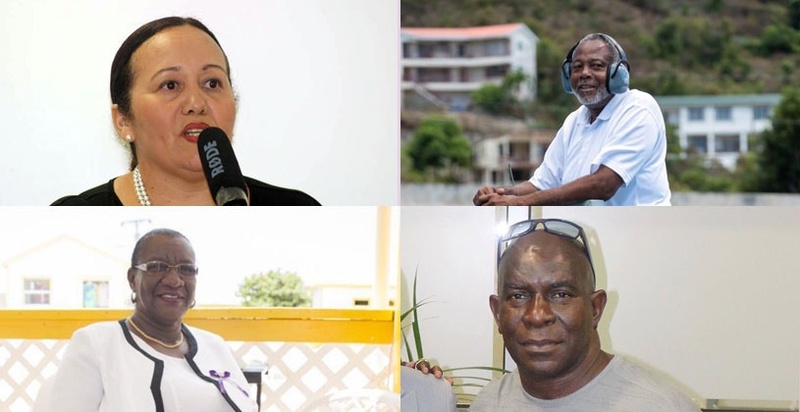 “Sunday’s service will also mark the 15th anniversary of the Service of Recognition for Virgin Islands Unsung Heroes, which began in 2005,” the release stated. Congrats to all!!! Awesome to see Tr Erma being recognized!! !